Growing up I always loved playing typing games. Not only were they fun but they helped increase my typing speed immensely. It then occurred to me that people use their phones just as much, if not more than their computers, and therefore should try and become efficient at typing on their phones. 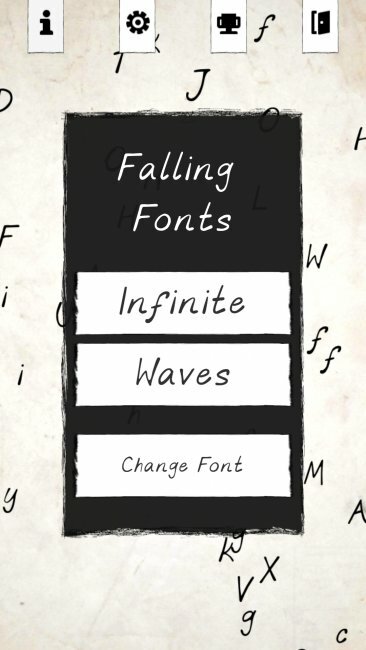 Hence the idea of Falling Fonts was born! 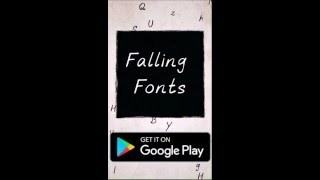 Falling fonts is a fast paced, typing game which caters to those that are new to using mobile keyboards, to those who are already experts. 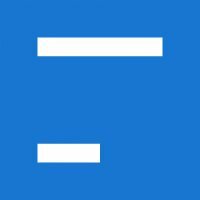 Play Falling Fonts to improve your typing speed and accuracy or give it to your child and see their proficiency improve without them realizing they're learning! Words fall from the sky and it is your task to destroy them by typing the words and shooting them! Earn coins by destroying the special golden words and then unlock new unique fonts! Includes 2 game modes, +40 fonts and +30 challenges. Neat graphics, but the gameplay doesn't really work well on mobile devices. I type faster on the desktop keyboard for obvious reasons, whereas it's difficult for me with the touch keyboard on smartphones due to it's non-physical design. Maybe try re-designing and releasing this on web-based game sites such as Newgrounds or Kongregate. Thank you for the roast! I understand the criticism but that's actually the main reason why I made the game. I always hated typing on mobile phones because I would constantly press the wrong key, so I designed the game so that after playing it for a long time, the players' typing accuracy and their comfort with a non-physical keyboard would increase. I use the gesture typing feature from the Google Keyboard app. Swiping to form words is so much faster than pressing individual keys on a small screen. If you're using an iPhone then there's "Gboard" by Google, but I haven't used the app as I don't like apple products.